fxmtf.com is a trading name of PK Investment Services Ltd. – was founded in 2011 by professional traders to address the lack of transparency affecting trading. 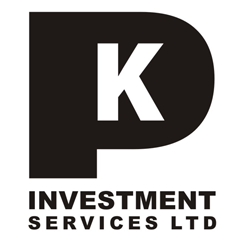 PK Investment Services Ltd. is registered in England and Wales (Number 7576452). We are an Introducing Broker for the Financial Conduct Authority regulated LMAX Global (FCA registration number 783200) which means that our clients can trade Forex and CFD’s. We are a global company serving both institutional and retail clients from all over the world. Your account will be with LMAX Global and you will have the same level of service. The main advantage is that if you are introduced by us, you will have access to other services, and also a lower commission, initial deposit, as due to our total volume of client business, we are able to negotiate better commissions from LMAX Global that we pass on to our clients. Through MetaTrader 4 Exchange, MultiCharts, Quantower and Web Client, our clients deal direct with LMAX Global. This means higher quality of execution for the end client. We are official Partner for MultiCharts and Quantower.